"As prime minister, I am not prepared to delay Brexit any further than June 30," Theresa May said. Theresa May said she had written to EU President Donald Tusk about the same. May said she had written to EU President Donald Tusk "informing him that the UK seeks an extension to the Article 50 period to June 30". 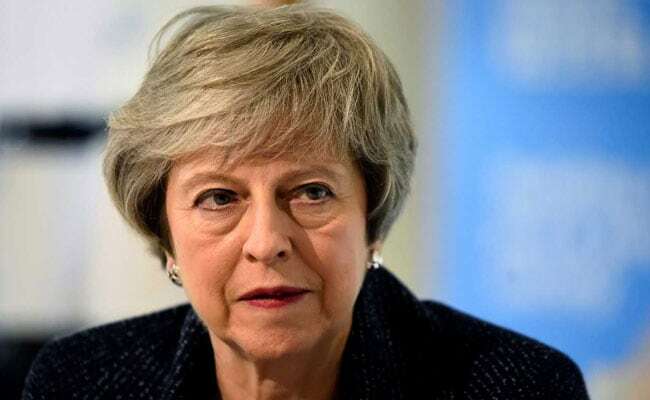 "I don't want a long extension," she said, warning that a longer delay would mean Britain having to hold European Parliament elections at the end of May. "The idea that three years after voting to leave the EU, the people of this country should be asked to elect a new set of MEPs is, I believe, unacceptable," she said. "As prime minister, I am not prepared to delay Brexit any further than June 30," she said. "If the motion is passed, I am confident that parliament will proceed to ratify the deal constructively. But this will clearly not be completed before 29 March 2019," she wrote, adding that the timetable for passing the necessary legislation to allow Brexit was "inevitably uncertain". "I am therefore writing to inform the European Council that the UK is seeking an extension to the Article 50 period... until 30 June 2019."